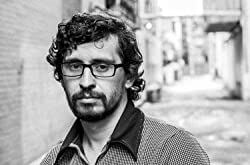 Bill Hillmann is an award-winning writer and storyteller from Chicago, Illinois. His writing has appeared in the Chicago Tribune, Newcity, Salon.com, and has been broadcast on NPR. He's told stories around the world with his internationally acclaimed storytelling series the "Windy City Story Slam." Hillmann is a union construction laborer and a bull-runner in Spain, who in the not-so-distant past was a feared street brawler, gang affiliate, drug dealer, convict, and Chicago Golden Glove Champion. Please enter your email address and click the Follow button to follow Bill Hillmann!